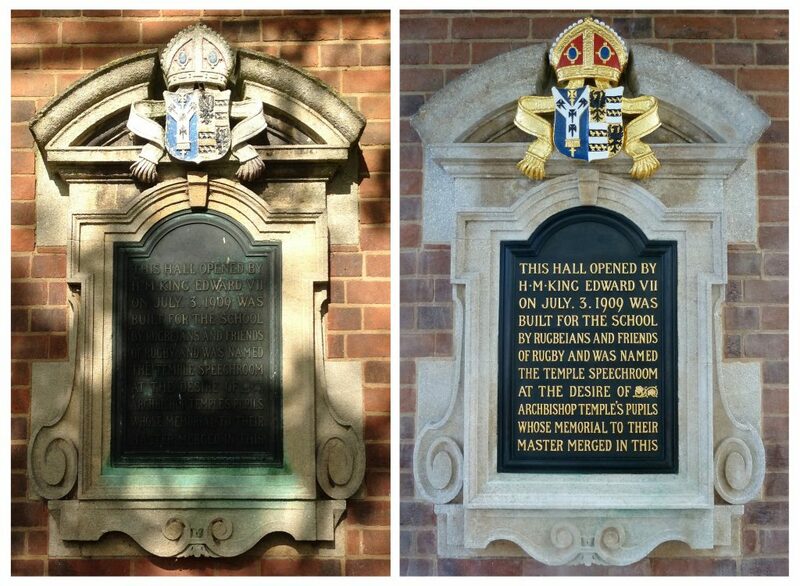 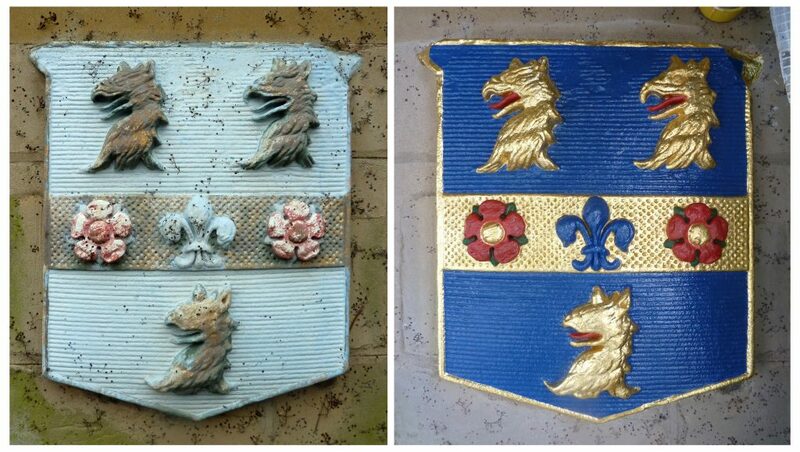 For the last two summers we have been restoring a selection of historic school crests and plaques at Rugby School. 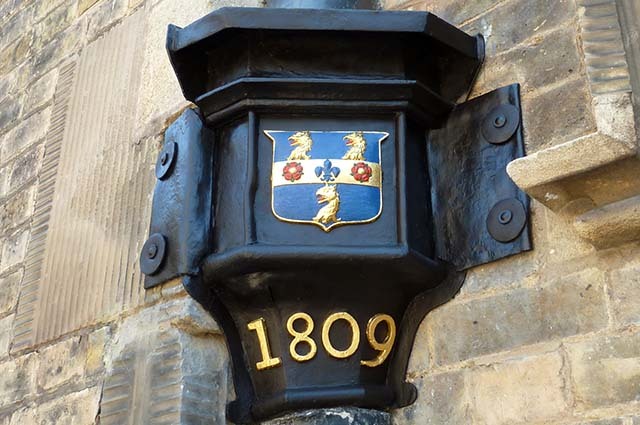 The paint layers were heavily blanched and flaking, and it was clear the existing scheme was a poor quality, modern recreation. 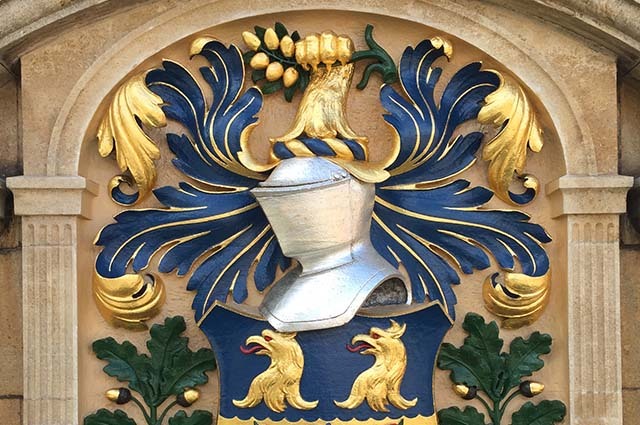 Our initial paint research revealed that although only small traces of the original lead oil paints remained, there was sufficient information with which to colour match bespoke lead oil paints for their restoration. 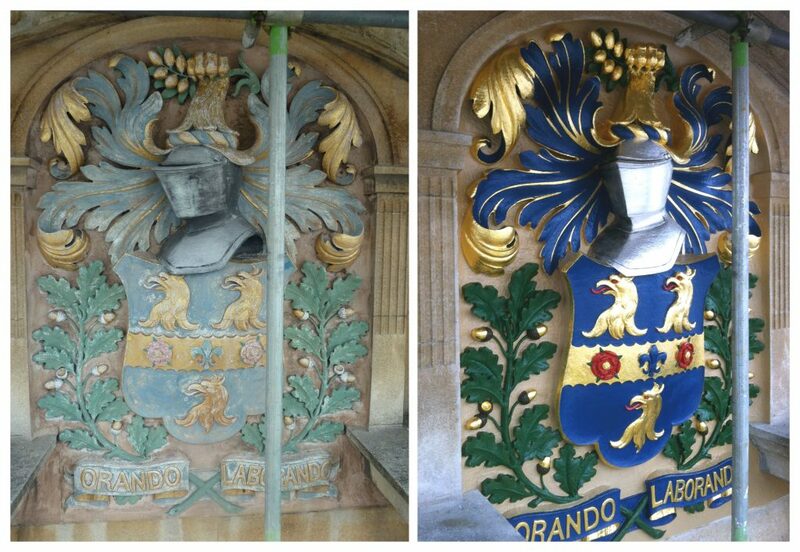 Following paint removal, cleaning and minor stone repairs, the crests were painted using four coats of lead oil paint and gilded using two coats of 23.5 carat gold leaf. 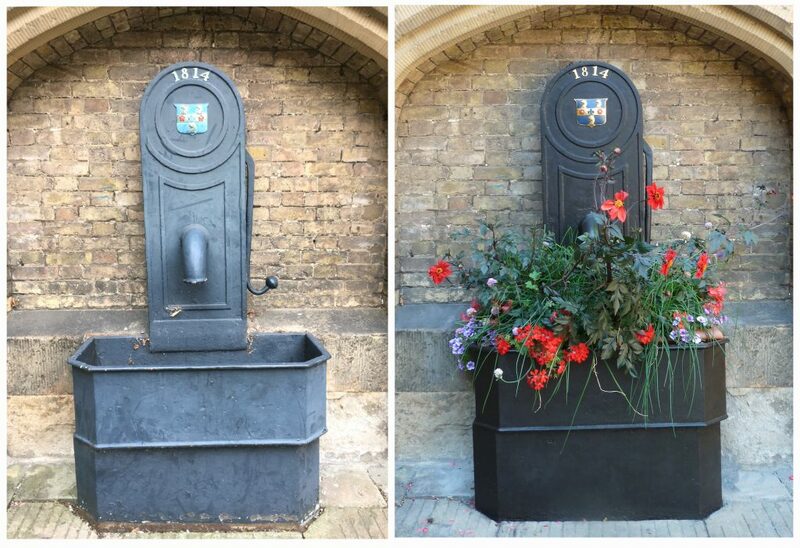 I’m sure you’ll agree that it’s quite a transformation!